How Long Does A Bathroom Renovation Take? - The Newcastle Bath Co.
Bathroom renovations can be disruptive to a house hold, especially if you only have one bathroom. In that instance many people choose to move out for the duration, either camping with a relative, going on holiday or hiring a hotel room. Some people choose to stay at home but you really need to be on good terms with your neighbours to borrow their facilities! Anther alternative is a temporary mobile bathroom which can be set up in your garage or back yard, but these are costly. Fortunately most people have a second bathroom these days, or at lease a second loo. All the same, having tradies in you house most days of the week can become wearing. One of the first question clients always ask us here at The Newcastle Bath co. is, how long does a bathroom renovation take? The simple answer is around 3 weeks but in reality it can take longer, depending on the specific details of each job . Hold ups are common while building and bathrooms are no exception. When renovating a bathroom, there is a strict step by step schedule that must be followed to ensure that everything is done properly and up to Australian building code. Even the best laid plans can change. 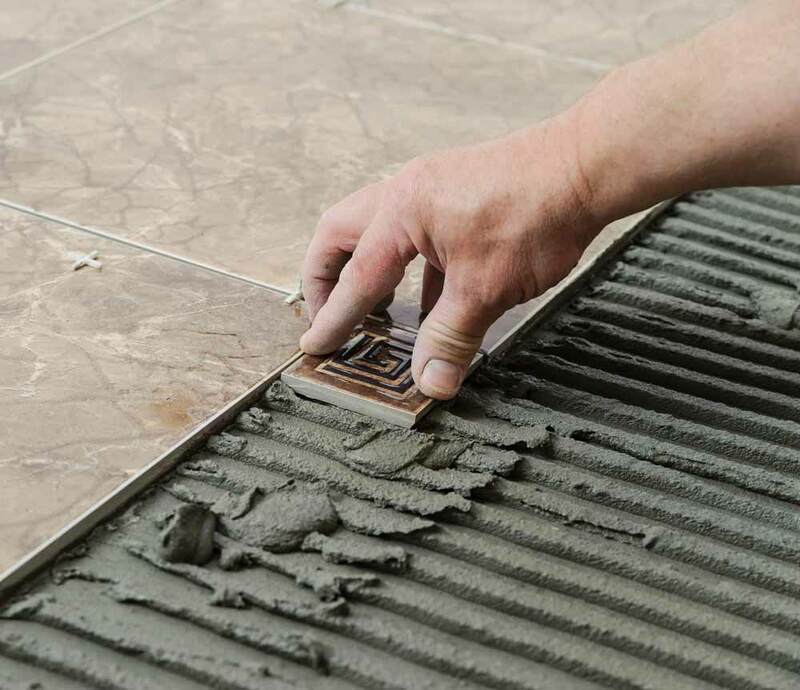 The commonest delays are the waterproofing /tiling glue that doesn’t dry in time for the job to carry on the next day or the tiling order not arriving on time. Many companies claim to be able to complete a bathroom renovation in 2 weeks. Sometimes they may be able to complete the task within that time frame but the bulk of the time, I can guarantee, they don’t meet their deadlines. Other companies will claim to complete in two weeks as a sales pitch without any intention of finishing on time. Doing things properly without rushing and cutting corners will get you the bathroom you want. It really is a case of ‘a stitch in time saves nine’. Preparing for a bathroom renovations takes time too. Getting a couple of quotes in usually takes a month or so, then once you have decided who to employ there’s another week or two before contracts are signed and deposits are paid. Once that is all taken care of comes the fun part of designers and shopping! Keeping in mind that many PC items and tiles will have a lead time (i.e time delay before your items are ready) on average of 2-6 weeks. Add all of that up and it can be 2-3 months from making the decision to renovate before a blow is struck in you bathroom. The whole project of a bathroom renovation does take time.A beautiful finished bathroom in which you can luxuriate, is worth it in the end and can add real value to your house. 2018 is almost done so get in touch with us at The Newcastle Bath co today, to plan your new years bathroom.